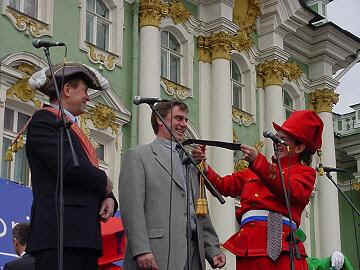 The Sunday following the first annual 2001 Saint Petersburg Carnival was the 7th annual Pushkin or Tsar's Village Carnaval celebrated with devotion, mirth and spectacle The Festival begins with a short but fantastic parade and features hundreds of accomplished and talented dancers and musicians who perform well into the evening on the many stages surrounding the historic town square. Many festival goers wear costumes for the much anticipated annual event which continues to grow in both size and creativity. The magical day concludes late in the evening with white night fireworks best seen from the magnificent grounds surrounding the extraordinary Catherine's Palace . 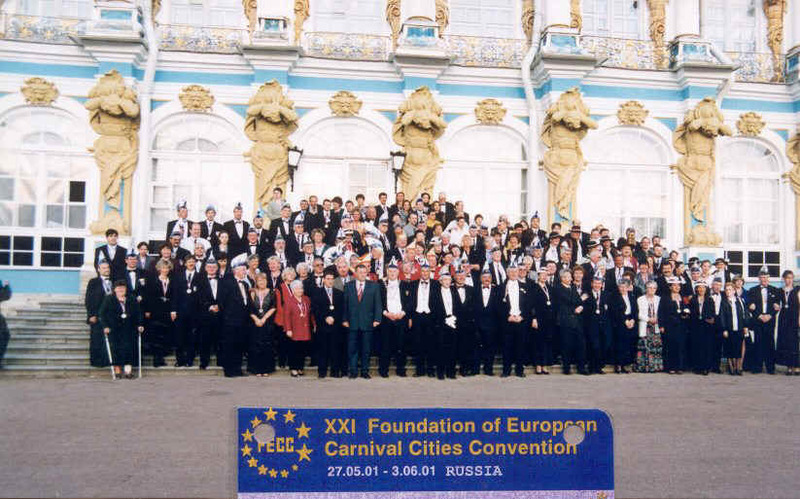 FECC International President Henry van der Kroon and the townspeople of Pskov share a mutual admiration and joint interest in developing a Carnaval to be known for satiric humor and mythical characters. 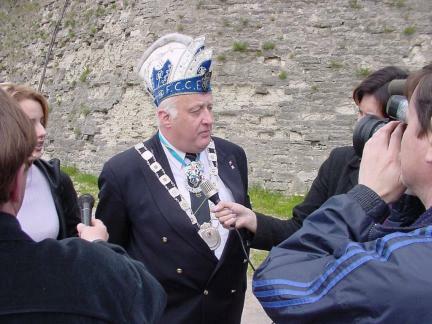 The historic town of Pskov will soon be celebrating its 1100th birthday in 2003. The City leadership is pleased to find Carnival capable of fueling their children's imaginations positively as well as acting as a highlight in their campaign for greater tourism. 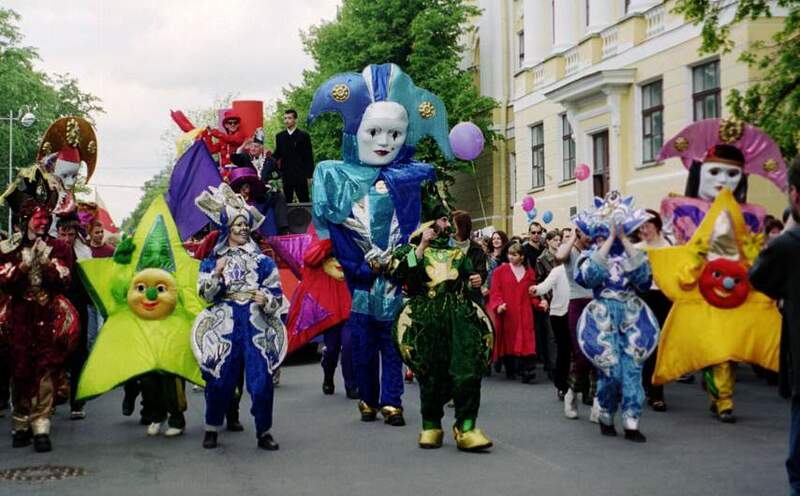 With the success of the winter Carnival, Carnival is the theme for the two largest celebrations in town. The FECC witnessed the historic return of the annual Saint Petersburg parade as the sidelined uniforms left the marching to costumed characters and over a million spectators cheered presentations by each district of St. Petersburg.